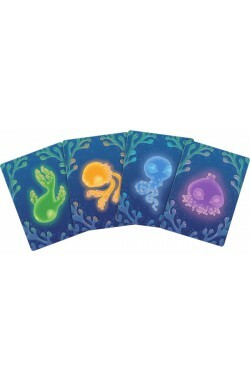 On the warmest nights of the year, the otherwise quiet waters are filled with shimmering lights as the dormant noctiluca awaken. Renowned for their restorative properties, the noctiluca are desired by many dealers. 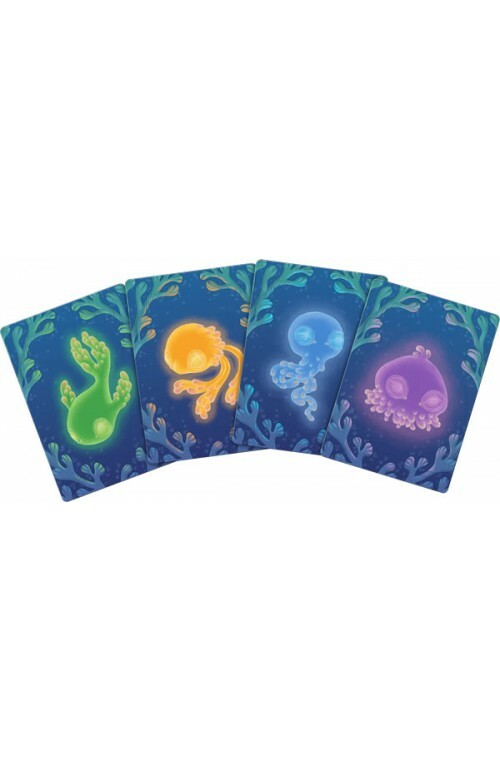 Only the most skilled divers can navigate the waters to collect these mysterious glowing creatures and deliver them to healers across the land. Can you catch the embers of the sea? 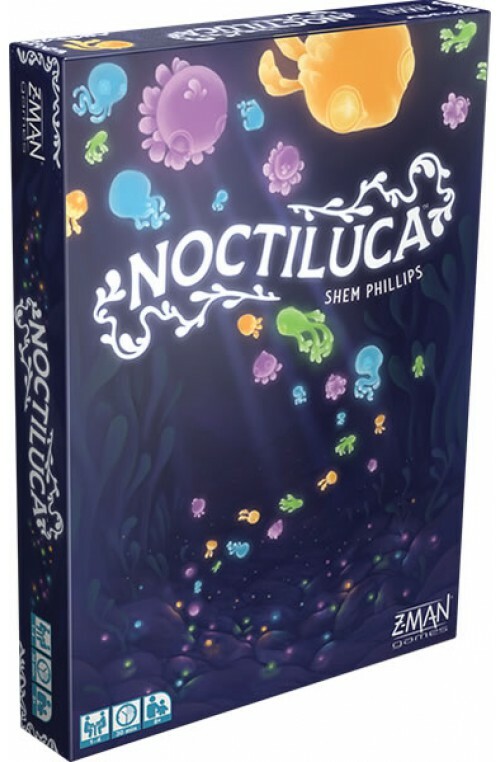 In Noctiluca, 104 colorful translucent dice fill the pool on the game board to represent the different glowing noctiluca. 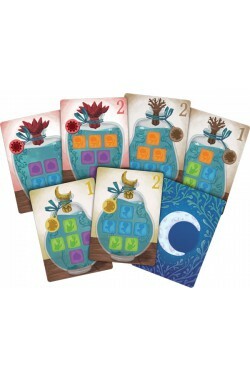 Players take turns diving into the water from the edges of the shore to collect the noctiluca dice from the board and keep them safely in jars until they can deliver them to healers. After two rounds, players compare points from their successful deliveries and the player with the most points wins. 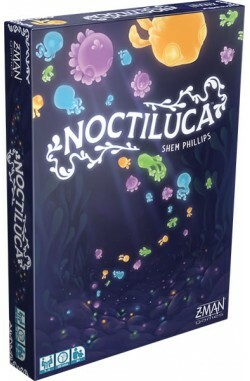 Thanks to a double-sided game board, Noctiluca also includes a solo mode in which one player must rescue the noctiluca from the tempest.